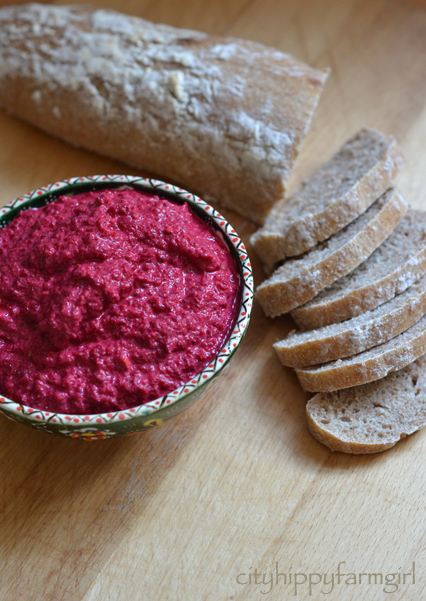 This entry was posted in Food Glorious Food and tagged beets, dip, easy dips, entertaining, frugal, locavore, pistachio, recipes, roasted beetroot, seasonal, seasonal cooking, simple, vegetarian by cityhippyfarmgirl. Bookmark the permalink. Raw Misky? Oh so brave! I love beetroot – esp the fresh stuff. I like it roasted with other veggies then I add baby spinach & goats cheese and have it as a salad. I’ll try making this dip next time. Oh, thank you for writing this. I do have always despised beets, but I find I can eat them if they’re grated into salad. I also don’t might borscht – it must have enough other flavors to keep me just tasting dirt when I bite into them. That dip sounds really promising. I may have to give it a whirl. Have you ever tried pickling them? I haven’t Ada, and maybe I should give that a crack as I do like pickled things. Totally agree though, all other ways I had tried just tasted like dirt! Pickled beets are the best thing ever! Until recently that was the only way I would eat them. I love the flavour combinations in this dip! I don’t consider any other way than roasting beets to be fair to this deliscious vege. My parents grow their own and I take the young beet greens to use for stir-fries, salads or tossing with pancetta and a balsamic finish -just like young chard or silver beet. Hard to find growers and stores that will keep the greens, but they’re great too and shouldn’t be thrown away! 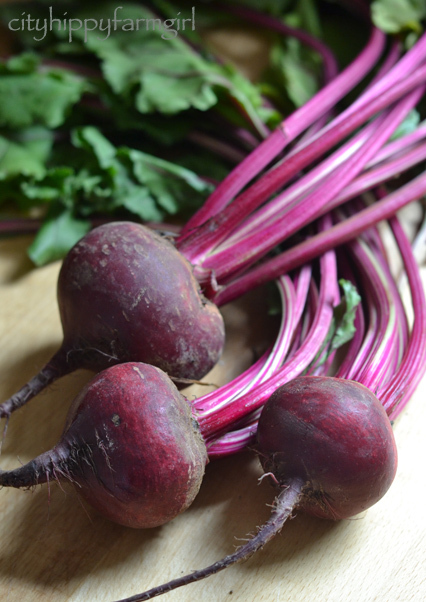 I love beetroot…love the savoury yellow ones, love the sweet red ones…yum! Luckily my daughter loves them too and we love grating it, mix through a little of our best balsamic, best olive oil, salt and topped with fetta. Sweet, salty, sour, nice! Roasted is an old fave too. The Sri Lankans make a beetroot curry – have you ever tried that? Strangely nice. You didn’t give up too soon- and roasted beets are really delicious! It looks like the persistence paid off 🙂 What a gorgeous looking dip, and I too like beetroot in only a few forms (chocolate cake amongst them!) and roasted makes that list. I love beetroot! Roasted beetroot is my favourite and this looks very delicious indeed. Roasting is the only way to go! Glad you enjoyed them and good on you for persisting. I only use beets in my juices. In Norway I ate pickled beets a lot (of course, in Scandinavia we pickle everything), especially on liver paste (yum). Other than that, I’m not really used to using beets. I tried roasting them in the oven. Ick. I love harvard beets…look that one up…it’s sweet and sour…and it’s divine over cottage cheese…okay that’s the way my grandmother served them and when I was little I loved it for the color…now it’s for the taste. Too funny.. my favorites are roasting with butter, salt and pepper.. Havard Beets and now I have a new recipe to try!! I’ve been roasting beetroot for the last several years and I find it so difficult to even eat it’s ‘shabby’ canned cousin these days. There is nothing like roasted beetroot baked with garlic cloves, a little salt, oil and some water to help steam that skin right off. Once baked add some balsamic and more extra virgin olive oil and your insides will be gleaming with health. Don’t know if you’ve noticed, but because roasted beet is so intense with all the nutrients locked in, you may notice ‘pink wee’. Don’t be alarmed – it’s perfectly natural. Hope this isn’t too forward of me; but I wish someone had told me to expect this. I thought something was wrong. Happy beeting! Too late Mariana, several months ago I was deeply alarmed for a good ten minutes. I was clearly very unwell!!! Then logical me kicked in and I remembered the very average beetroot dish I tried to make palatable the night before. Cool…pink wee! Hahaha – nice to know I wasn’t the only one ‘alarmed’. Just dropped back to tell you I had a bunch of beets taking up valuable space in the crisper. Your post inspired me to clean them up and bake them. Happy to report I’ve had two portions of roasted beetroot today and feeling all the better for it. Thanks!! I am a lover of beetroot and grow it all the time. I mostly pickle it to use through out the year but will also bake to eat hot or slice into a salad. It is great to see you have come around to the humble yet gorgeous beetroot. I don’t like beets either. We call them beets in the US. Glad you found a way to eat them. If you’re brave you can also try a raw beetroot salad: peeled beetroot, 1/2 red onion, carrot or two, a green apple, smallish piece of ginger, olive oil, bit of coriander leaves and lemon juice all blitzed together in the food processor/thermomix. Yum. Now that does look very good. 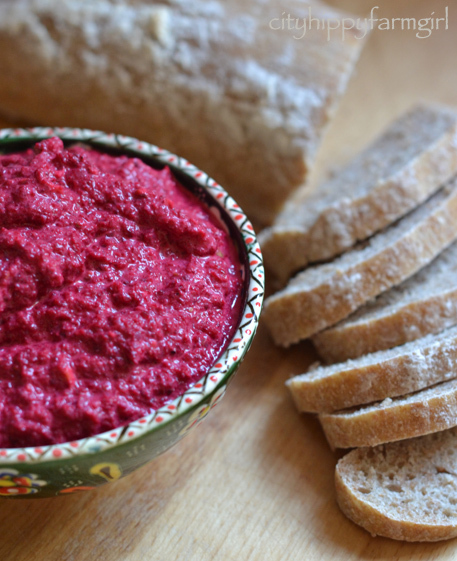 I do love a beetroot dip, it’s my first choice of dip when we have Turkish. Incidentally I have a pack of beetroot I bought today. Might substitute the pistachios for other nuts to save a trip into town. I love beets in all their ways but I finally tried them roasted for the first time summer before last and I have never looked back! Delicious! Your spread looks great too and I wish you had added a shot of it on top of the pumpkin soup. Bet that color combo was amazing!